Lace knitting patterns from past Special Guest Sharon "Crazy Lace Lady" Winsauer, alpaca yarn, and knitting needles. Leatherworking kits and tools. Needle felted sculptures, needle felting kits, wool spinning kits, roving, spindles, and more fiber arts related items. Beads, buttons, findings and supplies for DIY crafters. Fused Glass wall art, sculptures and jewelry. 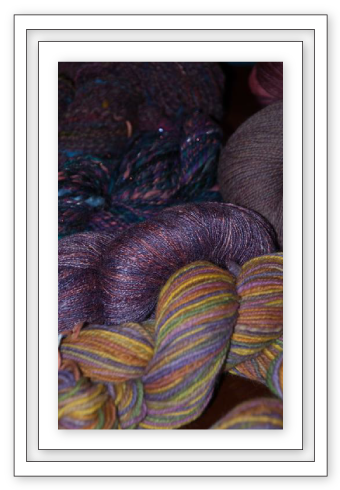 Fiber, yarn, beads, and other supplies for the handcrafter.